Does your company still keep records in an unsecured office or storage unit taking up valued space? Are you still using outdated records storage methods such as microfiche? Are your company’s records and documents vulnerable to loss in the event of a disaster? If you answered yes to any of these questions, your company needs Full Access Scanning and Storage. Full Access Scanning and Storage is the industry leader in the Scanning and Secure Document Management. Utilizing our “Total Recall Management Software”, customers have quick access to all their secured records. 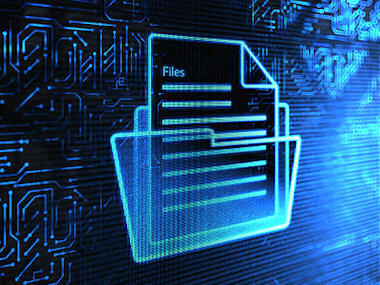 Sophisticated records storage applications track documents using “Image Track” software. Image Track was designed for all facets of industry to include Healthcare, Legal, Financial, Insurance, Real Estate and any business with a need to secure and track important company documents. Full Access Scanning and Storage offers much more than scanning and document storage. “Image Track” offers you a complete organization and management of your secured files, giving you a complete history and audit trail of all your company’s stored records and documents. Full Access Scanning and Storage offers our customers a complete solution to their secure file and records storage problems. Our online document management service provides indexing and archiving of your documents in state-of the-art storage facilities that meet strict standards for security, surveillance and fire prevention.